Some years ago, someone with whom I was closely associated with professionally, told me of the enormous benefits he had experienced from taking up Tai Chi following a significant health scare. I was both intrigued and faintly sceptical at the time but had no time to pursue it because of heavy work commitments. However, not long after I retired, I saw an advert for the Senior Dao Lu Corner. Still intrigued, I thought this must be a sign for me to have a go, so turned up one cold and snowy February Sunday in 2013. My first surprise was that the professional associate who first introduced the idea to me turned out to be the tutor! This obviously helped me overcome initial uncertainty as I had been so impressed with his sincerity about his experience years before. The next surprise was that other former professional associates were also practising ‘Dao Lus’! But the best surprise was how much I felt I’d actually done something with my body despite the deceptively apparent gentleness and pace. The focus and concentration needed has also been a great brain workout without all the old pressures. Having spent a lifetime being assessed and assessing others, one of the most significant enjoyments has been doing something purely for its own sake and being ‘in the moment’. However, pressure is a habit for better or worse so just maybe I’ll be persuaded to consider a grading in 2014! My name is Jason Monero. I lost my sight when I was 11 years old because of a brain tumour which caused a number of other difficulties including weakness on one side. I am 19 now. I became interested in Tai Chi when I attended a taster session, part of Give It A Go programme, at The Limes Children Centre two years ago. I enjoyed it very much as I have always wanted to do a form of martial arts. I decided to join a regular Saturday class at Dao Lu along with my mum and dad. My dad got his Tai Chi yellow sash in November 2013! 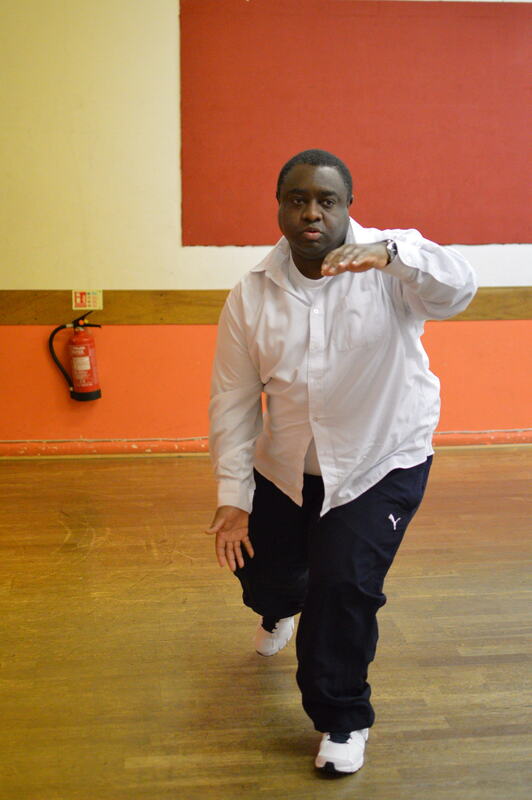 I recently joined Tai Chi Flow project and have been tirelessly promoting Tai Chi among people with visual impairment. On my college’s website, they put a web link on one of the performances that I took part with Dao Lu in June 2013. Tai Chi has helped me a great deal with my balance as well as strengthening my legs; I feel my confidence has also improved. I am currently working towards my Tai Chi yellow sash grading in 2014 and very much looking forward to continuously improving my Tai Chi learning and my health and fitness level. Note: Jason’s Tai Chi journey has inspired many people to be more active. His story is feature in the Give it a Go campaign programme on the London Sport North website. 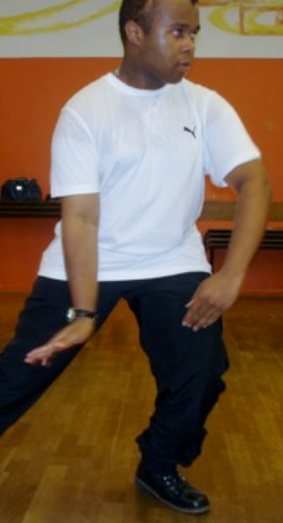 When I started Tai Chi class in February 2013 I was too sick to work. I was looking for a way of improving my health and fitness but the thought of going to the gym or jogging around the park was too painful to contemplate. Tai Chi offered me a gentler way of introducing exercise without feeling pressurised or overworked. The movements are slow and deliberate but you still get a great workout. My health and balance has improved greatly and I’ve lost a stone and a half of weight. The Dao Lu group is very special as the instructors are friendly and very patient if you forget the moves! The class atmosphere is relaxed yet focussed and gets me out of the house for the fresh air and the chance to socialise with the other students. It has now become my Sunday morning ritual. It’s been 11 months since I participated in my first Sunday morning Tai Chi class and I am still enjoying the sessions as much as the first. The class has grown so large now that there are 2 groups – a 9am group consisting of the more experienced students, and a 10:15 group of beginners and newcomers. Personally my balance, stamina, fitness and flexibility have all improved. Body movements which seemed difficult in February now come naturally. However I still work hard enough to raise a sweat by the end of the class, which is important when you are practicing in the open air! In November it was my pleasure to take part in my first grading ceremony. 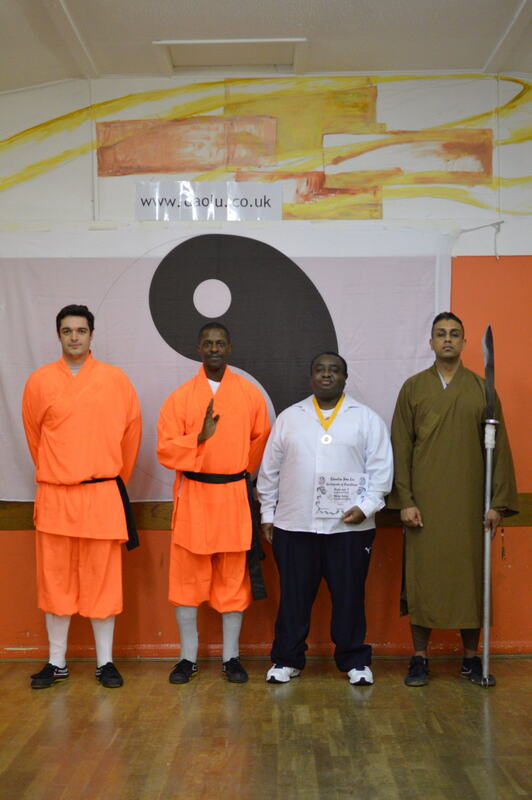 I had to demonstrate First Form Tai Chi in front of all the Dao Lu leaders and students. I was nervous at first, but then I imagined my instructor’s voice in my head as I performed every move. I must say I was very pleased to achieve the yellow sash, medal and certificate when I passed the grading! Since then I have moved on to learning Second Form Tai Chi which incorporates more exciting and challenging moves! I look forward to 2014 and progressing my Tai Chi skills.